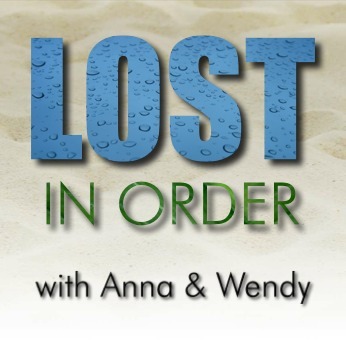 Anna and Wendy discuss episode 54 of Chronologically LOST, Episode 054 – November 22-23 2004 (days 62-63), featuring yet more interrogation of Henry Gale, Hurley dealing with Dave, Libby, and the pallet drop food, and Ms. Klugh wanting to strike a deal with Michael. Podcast length 1 hr 27 min. Anna and Wendy discuss episode 53 of Chronologically LOST, Episode 053 – November 20-21 2004 (day 60-61), featuring even more interrogation of Henry Gale, investigation of Henry’s story, Sun finding out she’s pregnant, and the reveal of the true Henry Gale. Podcast length 1 hr 23 min. Anna and Wendy discuss episode 52 of Chronologically LOST, Episode 052 – November 18-19 2004 (day 58-59), featuring Claire finding her repressed memories and the medical hatch, and continued questioning of Henry Gale. Podcast length 1 hr 20 min. Anna and Wendy discuss episode 51 of Chronologically LOST, Episode 051 – November 17-18 2004 (day 57-58), featuring a long con by Sawyer to get the guns and an introduction to Henry Gale. Podcast length 1 hr 23 min. Episode 50X: Bobblehead doll contest winner! Anna and Wendy check in briefly to draw a winner for our 50th Episode celebratory contest! Join us next time for episode 051 of Chronologically LOST. Podcast length 4 min.